Snoop recounted how he first met Hussle to the crowd of 21,000 mourners. The life of Nipsey Hussle was celebrated at his memorial at the Staples Center in Los Angeles on Thursday and one of the brightest moments came from Snoop Dogg when he paid tribute to his fallen friend. The superstar who worked extensively with the 33-year-old who was gunned down outside of his store on Slauson & Crenshaw spoke about how he first came in contact with Hussle’s music and noted the size of his heart during his speech. Recalling how the rappers were often compared to one another, Snoop insisted that Nipsey was very much his own man. Snoop also referenced the resemblence so many fans noted when Hussle first broke into the music scene. “When he first started, a lot of people was like, ‘He look like me.’ But I don’t think so. I think it was the fact that he was tall. He was lanky. He had braids. He had that L.A. mentality, and he claimed the gang so it was natural to be categorized,” he said. 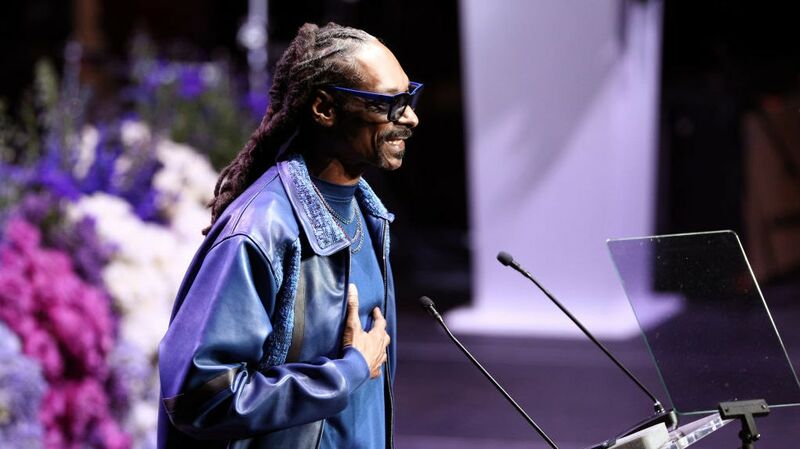 Aside from speaking about his relationship with Nipsey, Snoop extended his love and support to Lauren London and praised Nipsey’s mother for her strength. “You may’ve lost a son, but you gained one in me,” he said.